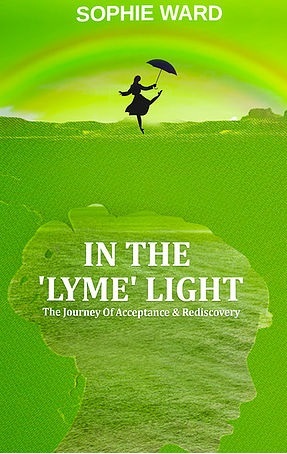 “My book is my personal journey through life and battling Lyme Disease. I am only 25, but my life has really been derailed because of Lyme Disease. I wanted to share my own personal account on how I have chosen to adapt, using a positive mindset to help me battle the fight. It hasn’t been easy but through doing my own research, a strong support system and my determination to make the best of the cards life has dealt me I hope to inspire others to do the same. I hope readers find comfort and are able to relate to the struggles I have undergone and continue to undergo on a daily basis. The most important aspect of the book is so that people battling any chronic disease don’t feel alone in their battles. Chronic illness of any kind is isolating and lonely. I am not saying I have a thousand friends and am always out of the house. It is the total opposite, I have a close circle of friends, a small family and spend most of my days at home. I have just chosen to exercise my situation to the best of my ability with the most positive mindset possible. I regained some confidence, began to find my voice and found a sense of purpose by helping people going through similar situations. I hope to inspire everyone to also learn how to feel a sense of purpose in their lives and activities. We are taught by society that we need to be on a certain path to be successful, but this only leaves us disappointed when we are faced with diversions and road closures. We go through a faze of being completely lost with no direction. I was that very person for so many years and I share this in my book. People look at me today and think I am fine. She is walking, she is out of the house, she is working, raising awareness and so on. She isn’t really poorly, you may think. 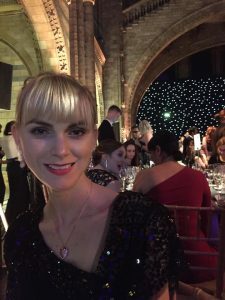 I wanted to expose my backstory and my lows to show I am human too, I am very poorly but I choose to be inspiring and fight hard in public to encourage others to do the same. Being strong and finding the strength doesn’t just boost your own well-being and lighten up your life but it really the powerful influence it has on others is also so uplifting and motivating. Life is the toughest job any of us will ever take on. There are so many challenges and so many hurdles, but we only get one shot at it. We don’t have precious time to waste on being sad or even angry. We must dig deep and search within ourselves any which way to enjoy the rollercoaster ride to the fullest. The sun always must rise and there will be storms but we have to learn to dance in the rain. It is ok to have our days, have our cries and be angry at the world but it is important to piece ourselves back together, bounce back and practise gratitude to really highlight all the good in the world even when you feel like there isn’t any. I spent a decade battling ill health and a body that became so alien to me. I lost my career, my number one hobby, my partner and myself if we are being brutally honest. I had dedicated my life and time to my sport, to my dream and to my career and overnight it was all gone. I couldn’t answer questions to why I had pain or why my body wasn’t bouncing back because I didn’t know. I began isolating myself and I ending relationships, cutting myself off from family and friends because I didn’t want to hurt them even more and I knew how much my decline was upsetting them. I felt it was best to be hidden away from the world. Like many fellow Lyme sufferers, I am ambitious, stubborn and hard working. I couldn’t allow anyone to see my decline. You begin to build walls up that you can hide behind so that everything looks well on the outside. My book tells you all about my journey, the extreme lows and the great highs. I want it to be evidence that we must push ourselves out of our comfort zones to carry on living and gaining strength. Never question your pain or think you are crazy, no matter what anyone says, never feel alone and find comfort in knowing that fact. Don’t push loved ones away and remember if people do walk, just kindly hold the door open for them. It is an upsetting loss, but you don’t want someone who isn’t loyal and committed through the rainy days in your life. The people who matter most will always be huge supports and they are the people you need to love and cherish. Nothing is ever off the table, take up new hobbies, new skills, and think about what other things bring you joy. Engaging in new projects can open doors you never believed even had a key to be unlocked. Be open minded and make sure you feed your soul every day. The little things go the longest way. When it comes to raising awareness, just talking to your friends could protect and save several lives. When it comes to new skills, an hour a week at a cooking class could lead you to begin baking cakes and selling them at a charity sale. When it comes to ‘me’ time mindful activities for an hour a day could help you feel more at peace and a little less stressed which in turn can help pain levels. I know so many of you will be able to relate to my journey, maybe not all of it but there will be some parts that will hopefully touch you on a deeper level. We are human, we are all strong and we all have our battles. We should be so proud of how we battle our fights every day and how far we have come as a community spreading the word. Saving so many lives along the way. We must remind ourselves to gain inspiration from others but also be inspired by own journeys and be so proud of how we have kept fighting and the strength we have gained.